Most people have blood that can clot up when needed and flows well due to the even thickness in their blood. Some people have thinner blood, which may lead to continual bleeding. These people can encounter health concerns related to thin blood. There are foods that can act as a natural blood thinner, so people with thinner blood should avoid ingesting them. Also, some home remedies can work to stop bleeding associated with such condition. Thin blood, which is caused by having not enough platelets in the blood, is also known as thrombocytopenia. 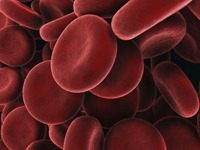 In some instances platelets are actually destroyed quicker than they are replaced. This can be due to an infection or pregnancy. Thrombocytopenia can also occur when the liver removes too many platelets, and the bone marrow can be producing not enough platelets. You may notice that a cut continues to bleed, instead of scabbing up. Epistaxis, which is commonly known as a nosebleed, can also be difficult to manage the bleeding, when your blood is too thin. Excessive bleeding gums, in which the blood continues to bleed well after brushing or flossing, can indicate thinning blood. When the blood is pooling under the skin instead of flowing through the body, bruises will appear more often and all over the body, which is a sign of thinning of the blood. One of the more severe signs of thinning blood is having blood present in your urine. Another severe sign of thinning of the blood is if you begin to vomit blood. All of the symptoms listed above are a sign that medical care is needed. A physician can evaluate you and decide if any treatment is necessary. Salicylates, which are substances that block vitamin K, are a type of natural blood thinners. Aspirin is the most popular of such substance. Some foods are also high in salicylates. Curry powder, cayenne pepper, ginger, paprika, thyme, cinnamon, dill, oregano, turmeric, licorice and peppermint. Strawberries, raisins, prunes, cranberries, blueberries, grapes, tangerines and oranges. Chewing gum, honey, peppermints, vinegar, wine and cider. Fish oil, which contains a high amount of omega-3 fatty acids, can be taken to help lower cholesterol levels as well as to allow for less clotting in the blood. Anchovies, salmon, albacore tuna, mackerel, lake trout and herring. Onions, garlic and olive oil are some other foods that thin the blood, as well as alcohol, especially red wine. Several remedies can be used to prevent bleeding including using a softer toothbrush, avoiding any hard objects and in some cases medications are necessary. However, if after twenty minutes a cut or nosebleed continues bleeding at the same rate, it is necessary to get medical attention immediately. Here are some home remedies to stop bleeding. Soak a clean rag well with a mixture of warm water and salt; blot the cut continuously (no worries, this will not hurt) until the bleedings stop, which should take approximately two minutes. 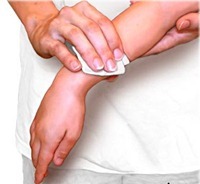 Apply some white flour to a cut to stop the bleeding instantly. Put some cornstarch onto a cut and it will stop bleeding right then. A teabag can be used to stop a cut from bleeding, by wetting the teabag, squeezing out a small amount of the water then pressing it on the cut and holding in place for approximately twenty seconds. Place approximately one teaspoon of coffee into the cut, pressing down to create a paste-like aide to help stop the bleeding. The coffee should be removed after about two minutes and the bleeding should have then stopped. What Should My Pulse Be?